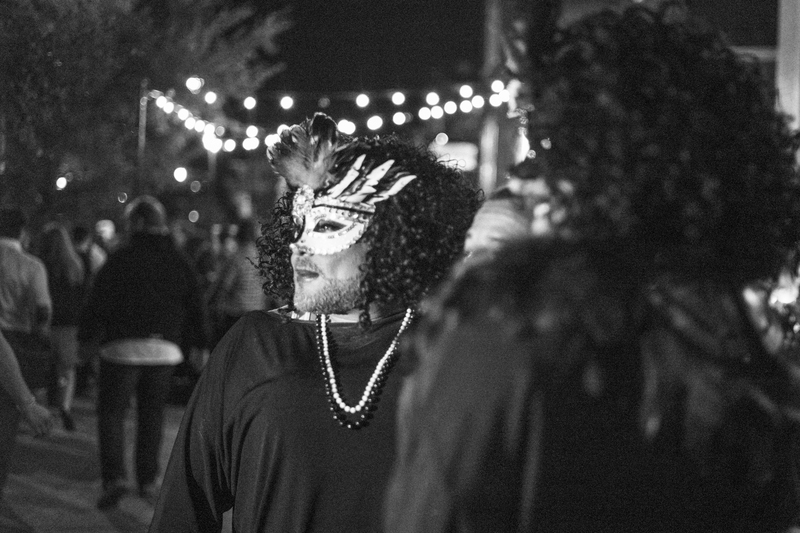 Since the first running of The High Heel Race in 1986, it has become for Washington something like what the Mardi Gras is for New Orleans — a joyous evening of revelry. 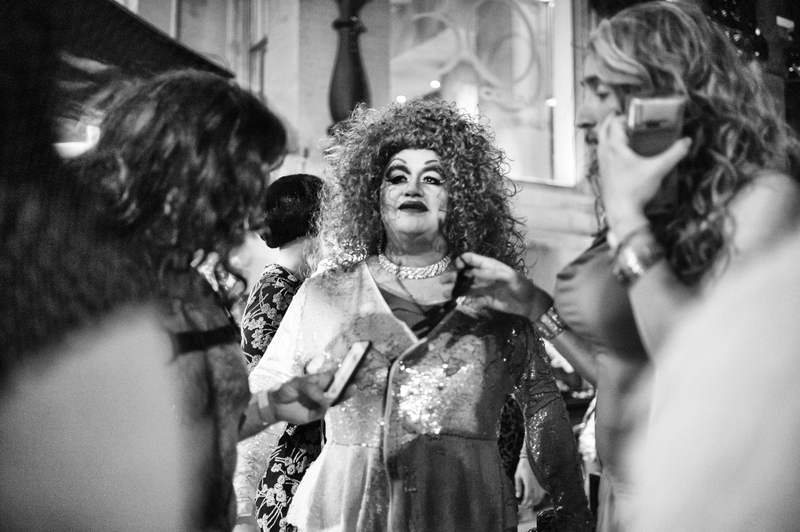 Drag queens as serious about this year’s get up as homeowners in Dallas’s Highland Park are about their Christmas lights, mingle — wobble may be more like it, as they’re not usually wearing heels — with frat boys who get into the spirit for a once-a-year, possibly once-a-lifetime, walk on the wild side. Between the intersection of 17th and New Hampshire, almost all the way down to the Australian Embassy on Massachusetts Avenue, queens reign supreme as diners at the bars and restaurants spill out onto the well-organized sidewalks. 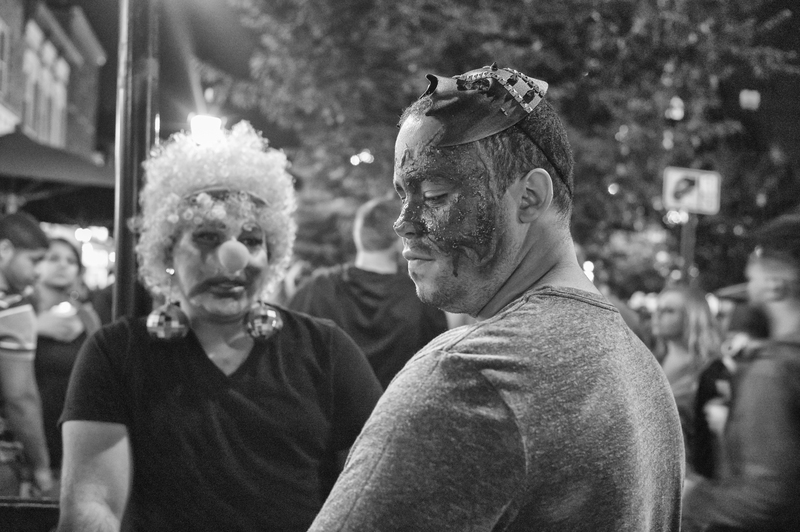 Washington is not believed to be a place where people let their hair down. 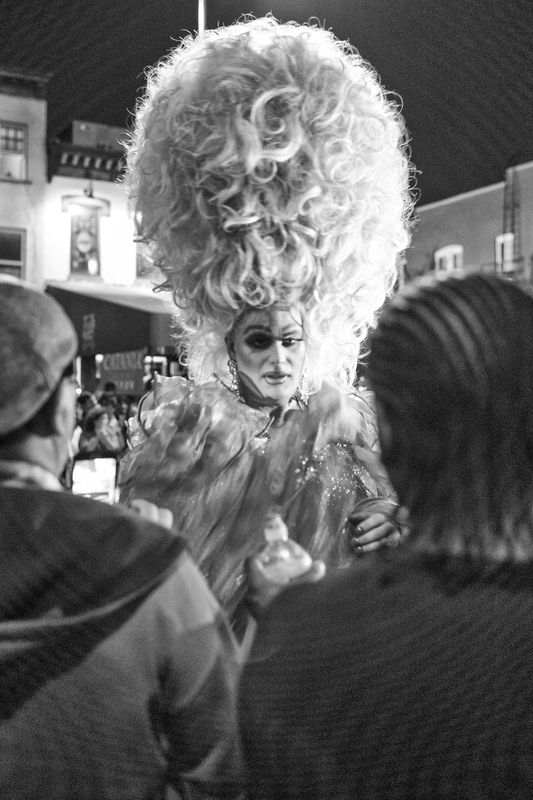 It famously was declared a city “with no Left Bank.” And yet the real Washington — D.C., as it is called by its denizens — is of course a city of tremendous creativity, in no small part driven by a large and friendly gay community. 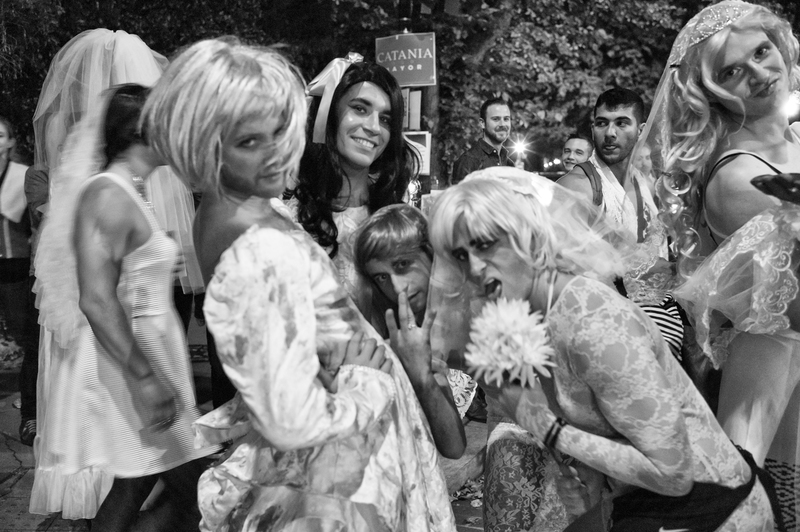 The High Heel Race, though on a weeknight, was as notable for the families that attended as for the swell of straight couples who saw it as an extension of the Halloween partying season. 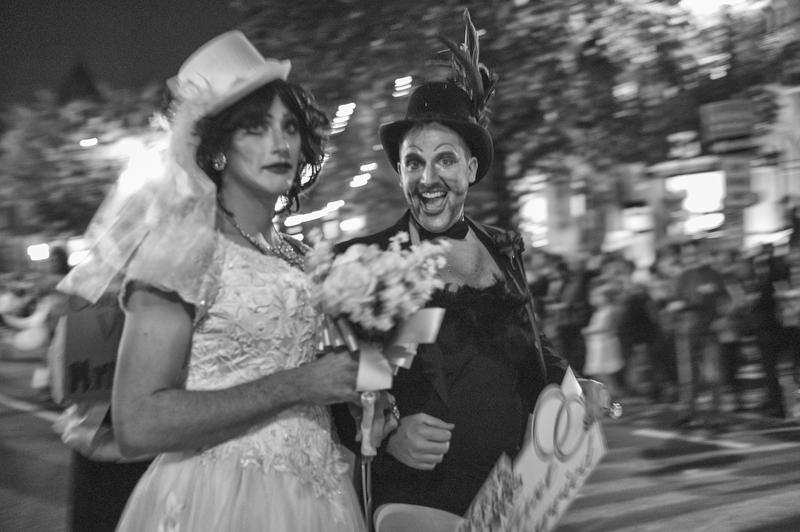 Again, DC’s Mardi Gras. Or those simply auditioning for a Crocodiles’ video. 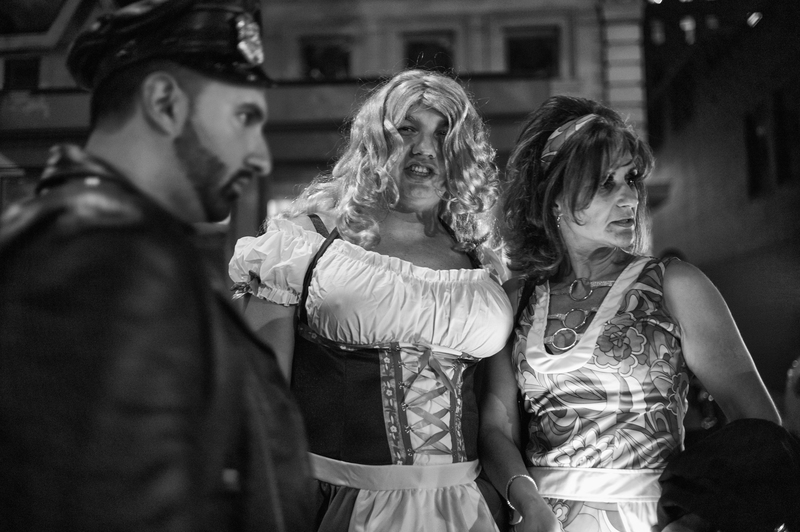 The cops got into the spirit of things, even when propositioned by Brunhilda and her girlfriend. 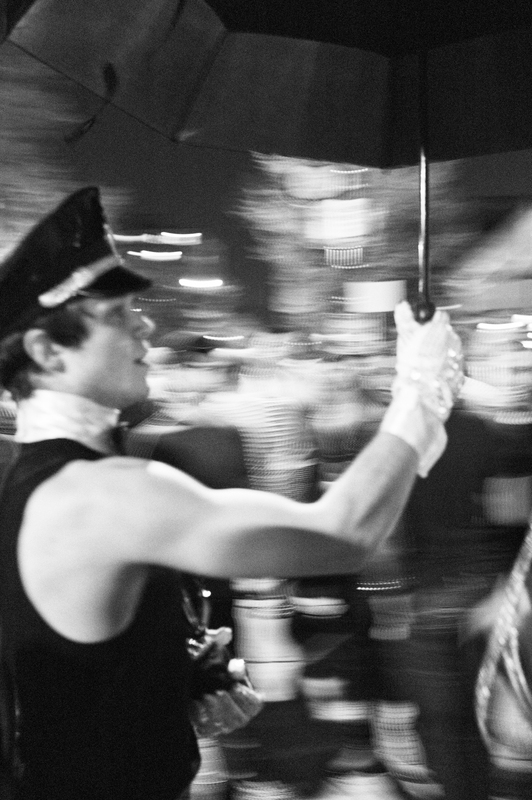 And even those who weren’t quite ready for Halloween donned their gay apparel. But the delight of those stars who welcomed the arrival of paparazzi made this annual running of the high-heeled women a sight to behold. All images Leica Monochrom, 35mm Summilux Asph FLE. 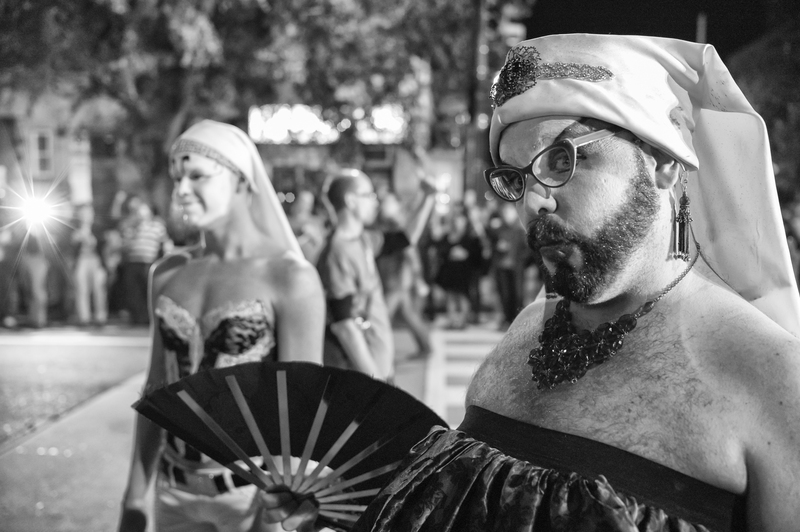 This entry was posted on October 29, 2014 at 12:19 pm and is filed under Uncategorized with tags 35mm Summilux Asph FLE, DC, Leica Monochrom, The High Heel Race, Washington. You can follow any responses to this entry through the RSS 2.0 feed. You can leave a response, or trackback from your own site.